Sometimes called ‘white ants’, termites are considered beneficial in nature as they feed off dead trees and convert them into organic matter. However, for these crawlers, the wood in buildings and other structures are just as appetising to them. Out of hundreds of termite species all throughout Australia, about 20 of those can cause serious damages and insurmountable expenses as they are capable of eating through solid wood in buildings and homes. There is an ideal temperature and humidity that these particular species of termites require and most of the time, the timbers used in your home and garden provide just a fitting environment for them to thrive and survive. Designing the concrete slab with edges exposed for easy inspection. Using less timber in building the structure. Laying timber floor with access points for under-floor inspection. Installing an interwinding system under the concrete slab to allow easy application of chemical barriers. As you can tell, these measures are mostly barriers to hinder termites from entering your premises. As a matter of fact, there are 2 types of barriers that you can use: the physical and the chemical. Metal Shields or Stainless Steel Mesh – during construction, sheets of fine stainless steel mesh can be installed under metal slabs and in external walls. Granite Chip Barriers – these stone barriers are graded to a size and shape which cannot be transported by termites. The spaces between its particles are too small for termites to pass through. Stone barriers can be installed underneath the concrete slabs or surrounding it. It can also be installed beneath a suspended floor. During construction, termicide is applied to the soil under the slab and around the pipes, footings, conduits and other structures for a vertical barrier. For a horizontal barrier, loosened soil around the perimeter, including around pipes and service facilities, is treated during construction. Many new buildings, homes and other structures use a termicide-treated layer of soil underneath or surrounding them. When used together with the physical barriers, it will form an unified barrier. Other times, people consider using treated timbers to construct houses, fences and garden structures. Then again, you must be aware of the effects of these chemicals to both the environment and your family’s health. It is recommended that only licensed pest controllers carry out the soil and timber treatment to ensure the work is done safely and effectively. Rid your home of these nasty creatures. Call us on 1300 304 725 today. Carpets are an elegant addition to your home. With different artistic designs and patterns, they can give your interiors a unique touch that could perfectly match your furniture and decor. Carpets also provide comfort and safety for the entire family, helping avoid falls on slippery and hard surfaces. However, in a lot of property inspections our team from Defence Pest Management have conducted, soiled carpets are a common sight as homeowners often neglect the necessity of having their carpets cleaned. Most owners think that unless the carpet actually looks dirty and stained, cleaning can wait. Just like any type of textile, the material quality of carpets can degrade over time due to wear and tear. If the carpet is not cleaned as needed, it can even become less durable more quickly, making its lifespan shorter. Carpet fibres do a pretty good job in trapping common household particles, dust and airborne pollutants, preventing them from circulating in the air. This can be beneficial to property occupants, but carpets should also be cleaned to avoid the build-up of these particles. If carpets have not been maintained for a long time, there are chances that the build-up of pollutants, dust, bacteria and even allergens will become harmful to your family. Because the carpet is filled with particles that it can no longer hold them in, these particles can end up being released in the air, triggering allergic reactions, among others. Imagine your living room looking all clean and elegant, with eye-catching furniture, wall paintings and a nice centrepiece, but your untidy and soiled carpet is spoiling the effect. If you are using carpets to enhance the beauty of your home, then you should also not forget about the maintenance of your carpeting. Carpets are a favourite nesting spot of ticks and fleas. If you own pets and are having problems with these pests, getting rid of ticks and fleas requires more than just treating your dog or cat. It could likewise mean clearing your carpet of lingering pests and their eggs. Although it may be difficult to determine if there are pests hiding in carpets, our technicians from Defence Pest Management can help you with pest inspections. If you are living alone or have a small household, you can have your carpet cleaned every 12 to 18 months. On the other hand, if you have a large household, which leads to high traffic or you have children and pets at home, or you smoke, it is ideal to have your carpets maintained every 6 to 9 months. Every time your property undergoes a building and pest inspection, our technicians from Defence Pest Management will provide you with the findings on the condition of the property and any occurrence of pest infestations through a comprehensive report. An electronic copy of the report may be sent out and another hard copy will be provided to the party that has requested the inspection. Since our aim at Defence Pest Management is to help property owners maintain their homes by getting rid of pests and preventing potential infestations, we thoroughly search every room of the house and all accessible areas including subfloors and roof spaces. Pests that linger inside buildings don’t make it easy for humans to find them, so they will hide in places that are not frequented by human residents. Their hiding areas also usually provide them with the most ideal condition for survival, allowing them to continue growing in number without being noticed. Our inspectors, with the use of the newest technology in pest inspection, will look through all possible locations of nests and colonies, and note telltale signs of infestations that could lead to where the pests could be hiding. Inspection in the interior area will likewise include the inspection of walls, doors, windows and other parts of the home interior, especially those that are made of timber. The report will include any potential threat or risk of infestations as well, such as the presence of decaying wood in nearby surroundings or other timber objects lying around your yard that could attract pests into your property. If we have handled or are aware of previous pest treatments conducted on your property, this may be detailed in the report as a reference. Most importantly, if pest activities have been detected in your property, the report will include the most effective method of pest treatment and management that our team can recommend for getting rid of the pests found in your home. For property owners, whether you are currently living in your own house or renting it out to tenants, you know that the most important responsibility is maintaining your property. Hence, we recommend at Defence Pest Management that you have your house inspected on a regular basis, to ensure that you conform to the standards of the Building Code of Australia. Building inspections are not just a means to know that a structure uses high-quality and durable materials, but also to ensure that the property can provide safe and healthy habitation for all occupants. Property inspections can be done as part of a regular routine for property maintenance, and are also conducted on properties that are being put up for sale (pre-sale or pre-purchase inspections). During building inspections, a technician will visit the property to examine all accessible areas and documents any findings about the property. Any visual damages and problems will be documented. A building inspection report will highlight the condition of the property at the time of inspection, and this will be given to the property owner. With this report, the property manager or owner can determine if there are areas of the home that require repairs and any issues that may lead to future problems. This is why a building inspection is also important for property buyers so that they can get an idea of the condition of the property in which they are interested, allowing them to make an informed decision about purchasing the house. One common misconception with a property inspection is that it is the same as a pest inspection. In some cases, homeowners are surprised to know that the building inspection report does not include findings about pest infestations in their property. Building inspections and pest inspections are, in fact, two different things. Although both involve the inspection of the property, building inspections are limited to investigating the visual condition of the house. On the other hand, pest inspections are specifically done to determine whether or not your home is infested with pests and if there are any risks of future infestations. In addition, pest inspections are also conducted to help you identify and choose the most effective methods for combatting pests, such as termites, cockroaches and rodents. If you are a property owner, you can opt for just a regular building inspection. Or, if you suspect that there are pests lingering in your property and want to make sure to avoid the risks of a significant infestation, then our technicians from Defence Pest Management can help with locating these pests. More and more of our children are being diagnosed with asthma. The doctors tell us this is an incurable disease and it certainly may appear this way. Yes, there are medications available to help sufferers of this life threatening disease but it is important to educate yourself and be aware of what you can do to help yourself and your children. For instance, cockroaches thrive in warm, humid climates in densely populated areas, which is why we find so many of them in Eastern Australia. The further north you travel the greater the chance of spotting these scurrying creatures in your homes and associated buildings. It has been reported that as many as 300,000 cockroaches can be residing in the cavities and cracks of a home so you can see why they may cause some health risks. Apart from the obvious solution which is to call in the professionals such as ourselves at Defence Pest Management, there are some steps you can take to prevent the invasion of the dreaded cockroach. • Remove your kitchen rubbish regularly. • Wipe your benches clear of scraps and don’t leave food out. • Even uneaten pet food can be an invitation so keep those bowls clean. • If you have little used taps or toilets in the home, run or flush them from time to time. • Clean under and behind the fridge and dishwasher. • Seal cracks and gaps in walls and floors. • Don’t stack rubbish or paper of any kind for too long in doors and if it’s been outdoors for a while, leave it outdoors or check it before it comes indoors. Cockroach allergies have been recorded as far back as 1943. Due to this issue, a skin test was developed in 1959 to confirm if cockroaches could be the reason for some asthma attacks. The reason a cockroach could be the culprit is that the proteins in their faeces, body parts and saliva which we refer to as allergens can cause irritation to bronchial passages. If your child awakes with asthma conditions it may be that there are cockroaches in the room. Check your child’s school bag, toy box, under the bed and wardrobe. Furthermore, keep them clean and clutter free. If you are renting a property, it is important to understand your responsibilities as a tenant. Before entering into an agreement with your landlord, you must have read all the terms and policies that come with renting a property because, while there are general rules for renting, you can’t afford to miss out on the smaller, more specific details that might be unique to your agreement. Your first responsibility as a tenant is to pay your rent on time. This is not just for making sure that you do not breach the tenancy agreement, but more importantly, for securing your rental property and protecting your rental history as a tenant. In cases where you are unable to pay your rent on time, your landlord will send you a Notice to Remedy, giving you a grace period that will allow you to catch up with the rent payments. If after the grace period you still have not settled your rent payments, you will then be sent a Notice to Leave. When you are the person residing in the property, it is your responsibility to keep the house undamaged. Your landlord may have a property manager who will routinely check the house for any damages or changes in the dwelling. Certain modifications in the property may not be allowed by your landlord, such as changing the door locks or repainting the walls. Such changes can mean a breach of contract and a penalty on your part. If you need to have areas of the house repaired, you should first inform the landlord or property manager instead of acting on your own. 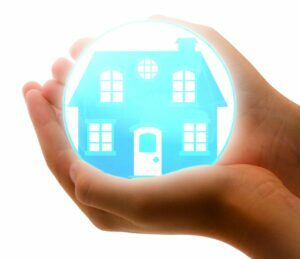 For the rental properties we handle, Defence Pest Management usually works closely with landlords, as most of the time, home repair and maintenance is the lessor’s responsibility. It is rare that you, as the tenant, will shoulder the property maintenance. Still, understanding the contract will ensure that the same policy applies to your rental. In the same manner that property repairs are a landlord’s responsibility, dealing with pest control issues usually fall into the hands of the lessor. However, if you are a tenant, it is necessary that you immediately inform your landlord of any sign of infestation. After all, it is a place that you are living in. On the other hand, if your agreement states that you are responsible for any pest problems, it is recommended that you immediately have the property inspected, as early detection means fewer damage costs. You can contact us at Defence Pest Management and we can arrange a schedule for examining your rental property. If you are a property investor, a property manager or agent, then you should know the importance of pest inspections before you invest in a property. At Defence Pest Management, we can provide you with vital information you need to know about the property you are eyeing to invest in. Pests can seriously damage a property and it is utterly dangerous if they are hidden from sight. There is no way for you to know the extent of the damage and the negative impact such damage can have on the value of the property. If you happen to invest in a property that did not go through full pest inspection, then you are risking investment in a property with lower value. Our company eliminates the guesswork in property investments. Our in-depth pest inspection can detail pest problems that may be present in the property. There could be hidden termites that are already foraging in the timber portions of the property. Not investing in a pest inspection can be quite risky. If you are selling the property for a profit and the buyer happens to have a pest inspection conducted, then you could lose at the negotiation table. With our pest inspection service, you are well informed beforehand if there are pest treatments that need to be done to raise or maintain the value of the property. If the property is seriously infested, it may be very difficult for you to find interested buyers for the property. If you are buying a property, our pest inspection service can help you evaluate the true value of the property. You can fare better in negotiating for the price for the property, considering the additional work that you need to put into the property to make it a worthwhile investment. Should there be pests found during inspection, Defence Pest Management can provide vital pest control services to remove existing pests. We use proven techniques to eliminate pests from the property. We can also provide pest management services to rental properties. If you are running several rental properties, whether as an investor or as a property manager, you can benefit from our pest management service to ensure that your rental property is kept in good condition. This will help you build a good reputation among tenants and would-be tenants. Protect yourself from unpleasant surprises because of hidden pests and pest damage in your property investment. We guarantee that you only get the best services to protect your investment.